Today marketing is known as an advanced blend of strategy and technology, however it hasn’t always been this way. Marketing as we know it began with humble beginnings of simply trying to sell goods and services. Attempts to accomplish this may be as old as civilization itself. Some believe it started with trying to presents goods in a certain way for trading. The effort to develop persuasive communications for selling goods and services has been around since the times of ancient China and India. This activity may not have been recognized as a marketing business at the time, but it is where the idea for marketing started to develop. 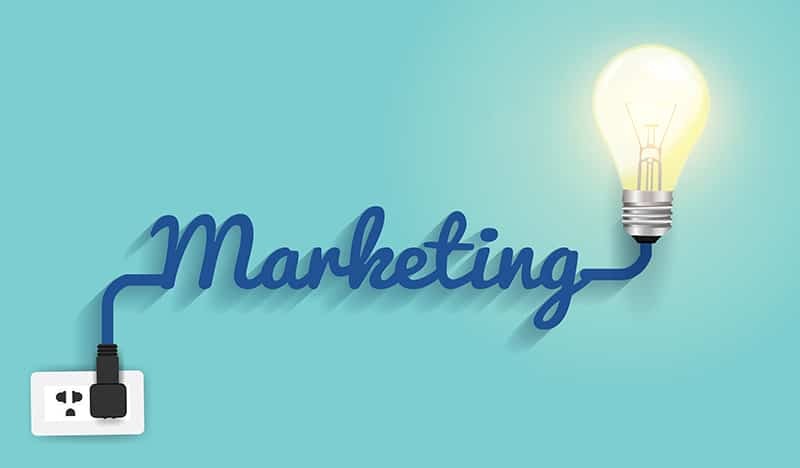 The ideas of marketing as it is understood in the modern era began during the time of the Industrial Revolution. This period spanned the late 18th century and lasted long into the 19th century. It was a time of rapid social change motivated by innovations in the scientific and technological industries. It was during the Industrial Revolution that purchasing goods began to be easier for a consumer than make things themselves. Mass production created many industries engaged in the same endeavor to serve the needs of a growing consumer market. The infrastructure for transportation as well as mass media took hold. It created a need for producers to find better ways to develop products customers needed and a more sophisticated approach to informing them about these commodities. Starting in the early twentieth century to the late 1940s competition in the business world became intense. The need to increase selling by using marketing techniques became an essential part of being competitive. The ability to develop a brand and appropriately market it grown in value. The competition also drove the need to increase production outputs and market shares within all industries. Marketing began to emphasize distribution methods as well as types of consumer communication. The goal soon became to persuade consumers the goods and services provided by one company were better than those of another company offering the same thing. Starting in the 1960s the markets in many industries became saturated with competition. The need to get and keep customers now required specialists in the area of direct marketing. This is a time when companies began dedicating entire areas of their business for the sole purpose of marketing a company’s products or services. This was when marketing management developed the sophistication necessary to be an essential part of business success. Marketing managers began to be involved with strategic planning. Their input was important for determining the cost, the methods used to communicate information about products and services to consumers and more. The world of marketing began to change during the 1990s. A product or service was created and instantly a brand was developed. Companies began to realize they could focus on selling more high-quality products and build a better brand for them. This resulted in companies experiencing an improvement in their margins, but also expanded their reputation. It also increased the awareness of the brand they had created. Some companies with a private label were able to improve their market share by more than 49 percent. With the evolution of the web, websites started being an essential tool for commercialization. During the late 1990s, simple company websites that were text-based began to flourish. They were initially utilized to provide information about a company’s products or services. The first company to have an online marketing campaign was Bristol-Myers Squibb to promote their Excedrin product. The campaign was a success, and Bristol-Myers Squibb was able to add tens of thousands of names to their customer list. Today, hundreds of billions of dollars are spent each year on the marketing business. Within the past 25 years, the importance of using the web and search engines for marketing has increased dramatically. In the beginning, web search engines were not the most efficient operations. Getting a good ranking with a search engine was not complicated. Search engine results were easy to alter, and the quality of the results was poor. To provide the best quality results, search engines changed their algorithms. The goal was to validate referring sites to ensure the quality of results provided by the search engine. It is now almost impossible to manipulate SEO rankings. When this is attempted, it puts a company at risk for having their brand’s search engine results buried. The modern blog developed as an online diary. Individuals would provide daily accounts of their personal lives. During the late 1990s, blogs became an important part of marketing. In 1999, there were approximately 23 active blogs. It is estimated that there are currently over 150 million active blogs. Blogs are now part of most content marketing campaigns. They are used to provide information, build customer relationships, generate sales leads, increase brand awareness, get customer feedback as well as community marketing and more. It is also used to develops internal and external networks for company awareness. What If History: Is There Any Validity To Counterfactualism? Thanks for sharing your viewpoint. I am curious, other than your own, can you suggest other sites or books that might assistance me get a better grasp of digital marketing? Check out the new software package called “Lately.” It automates marketing, organizing it and making it into a digestible commodity.